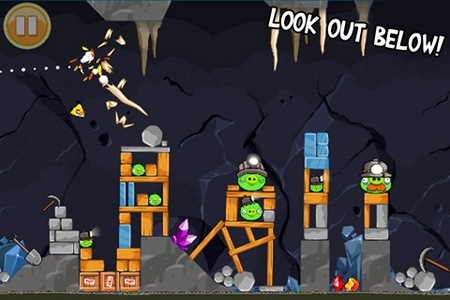 Angry Birds updated with 15 new Mining levels | Android Blast! One of the most popular mobile games just got updated again, this time with 15 new levels. Angry Birds continues to be one of the most popular mobile games and the new "Mine and Dine" extends the game for even more new levels. The new mining levels take you through dark mining caves. One of the new features is the ability to use the Mighty Eagle so you can plow through levels to make it to the new levels. If you purchase the Mighty Eagle once for $.99, you can use him forever. Check your app updates to get the new levels.